Thank's to the unpopular property tax we at least know slightly more about the super wealthy in Ireland. The government is normally very careful to neither collect information about this group nor to publish it in a way that would reveal the enormous gap in wealth and power between us and them. It would not do to have Joe or Josephine Worker realise that they could work for 10,000 years and still never approach the wealth of the Denis O'Briens. 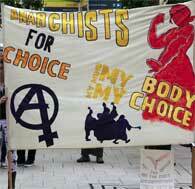 Something entirely unexpected has happened in Ireland - history has gone into reverse. 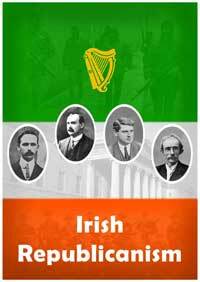 While North Africa, Egypt and the Middle East are struggling to shake of the shackles of neo-colonial dictatorships, Ireland after the Celtic tiger finds itself back in a situation of direct rule. This time not from London, but from the head quarters of the European Central Bank in Frankfurt and the European Commission in Brussels. A state which it now shares with it’s fellow PIGs, Portugal and Greece. 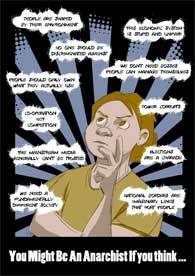 For most of the last 60 years we have been told that liberal history went in one direction, from dictatorship and colonial rule to liberal democracy. 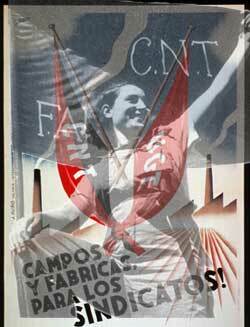 This picture no longer fits the new status of the PIGs within the European project. The years from 1995 to 2007 saw record levels of housing construction in Ireland. Construction output went up, land and house prices mushroomed and it seemed as if there was a never-ending bandwagon on which everyone was going to get rich by simply waiting for their pile of bricks to increase in value. A whole new lexicon of terms and vocabulary entered the everyday parlance – terms such as ‘starter home’, ‘property ladder’, ‘first time buyer’; Newspeak phrases such as ‘affordable housing’ were bandied about. Houses and housing estates were advertised for sale by estate agents and property developers with colourful banner headlines and slogans such as ‘live the dream’, ‘live the lifestyle’ – it was almost explicitly stated that even the dreary Irish weather could be by-passed by buying an apartment or house in the latest development. It seemed as if the dream would go on forever. But in mid 2007, disaster struck. With the onset of the world- wide recession, Ireland’s very own property bubble burst with a huge bang and left only destruction behind it. The dream turned to a nightmare for many people and the vocabulary was now dominated by terms such as ‘negative equity’, ‘ghost estates’ and ‘price collapse’. Housing is one of people's most basic needs. Yet it is a need that the 26 county state  has consistently failed to supply to a significant number of its people. It seems that the Irish housing crisis is permanent, becoming more severe from time to time, but never disappearing. Despite the Celtic Tiger economy and the building boom, waiting lists for social housing continue to lengthen. Over 37,000 people are currently waiting. Are we to believe that this lack of housing is inevitable, that it is impossible to build houses quickly enough to satisfy the demand? 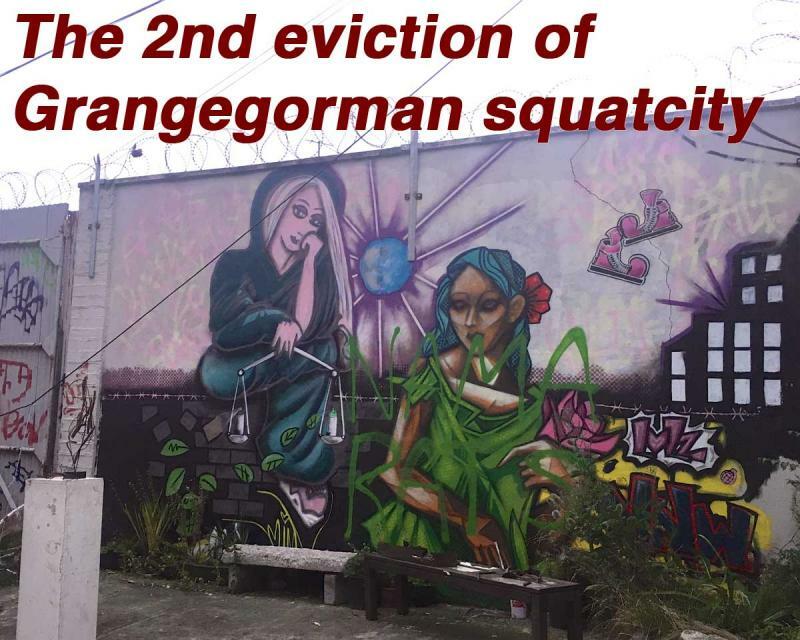 The massive complex of squatted buildings at Grangegorman was evicted for a second time in early August, this time its likely to be permanent at the plan is to build a huge number of expensive to rent student apartments on the site. The eviction was anticipated and a lot of material was moved over the days around August 11th when 'heavies' broke through the gates but were told to back off and allow time for material to be moved out when the Garda arrived. The squatters were quietly moving to another large abandoned building nearby that had been squatted recently, the Debtors Prison on Halston street. Central Dublin is full of such abandoned buildings despite the worst housing crisis in the history of the state. Welcome to Ireland 2016 where protecting the rights of vulture funds to make millions come far, far ahead of needs of those without secure accommodation. 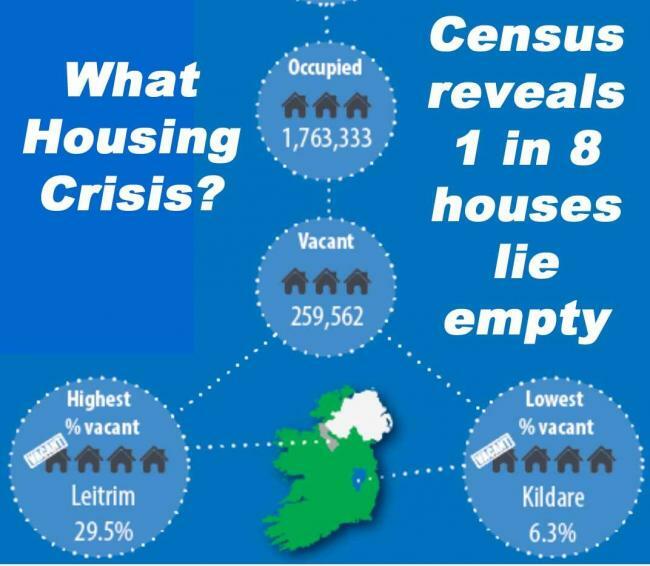 The 2016 Census has again revealed there is no housing crisis. 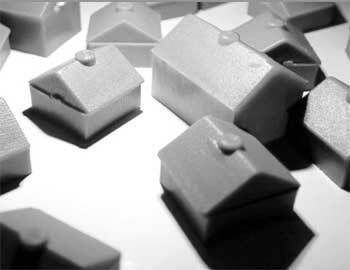 In fact about 1 in 8 houses were empty, a massive 259,562 dwellings in all. 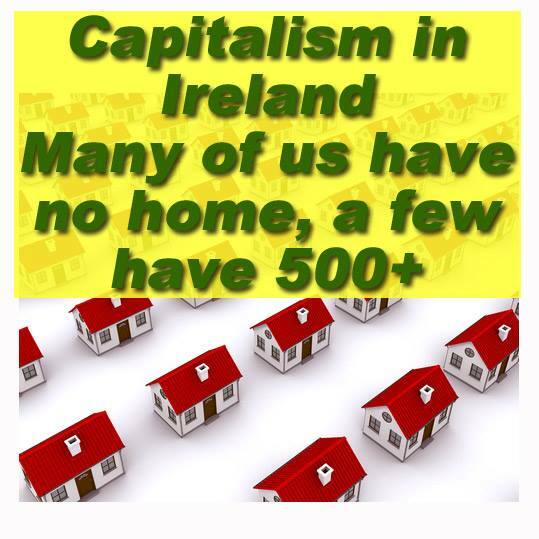 So why are their hundreds of homeless on the streets and thousands in emergency accommodation. Why are rents soaring, particularly in Dublin, to level that mean most people can no longer afford to rent there? Why have house prices continued to increase far, far beyond the reach of the average worker? It seems clear the answer is to be found in homes being left empty while people sleep on the streets. A situation that only favours landlords and property speculators who want to keep available supply low in order to keep rent and house prices high. 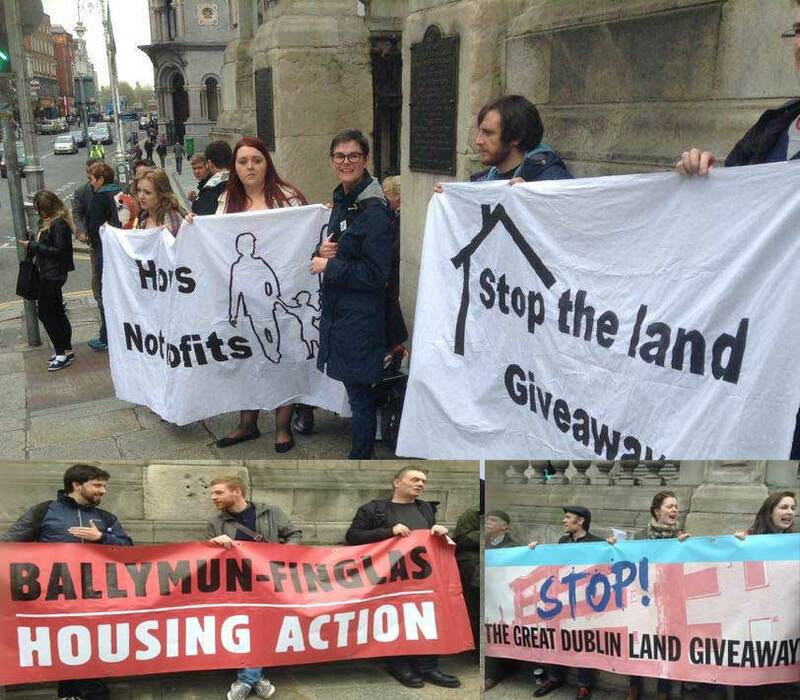 And all while courts and Garda evict those amongst us who decide to solve their housing problem by occupying some of these vacant properties. Project Eagle, or Nama's northern portfolio, was landed in March 2014 by American private investment firm, Cerberus. If this sale has done anything, it has proven that good old fashioned political and economic corruption is not an exclusively American affair. Nama, oftentimes referred to as the south's "bad bank" - as if there are any good ones - was set up in late 2009 as an attempt by the southern government to try and deal with the property loans issued by Irish banks.